Living with mental illness Jump to media player Students from The Children's Hospital School in Leicester share their stories describing what it's like to live with mental health issues. Finding out what makes us happy Jump to media player School Reporters at Greenvale School in London set out to discover what makes people happy. Youngsters discuss mental health Jump to media player BBC Radio 4's World at One programme meets a number of young people involved in BBC School Report who have experienced mental health issues. Mental Health Statistics presented by the Young Minds charity says rates of depression have increased by 70% over the last 25 years and the number of young people presented to A&E with a psychiatric condition has more than doubled since 2009. 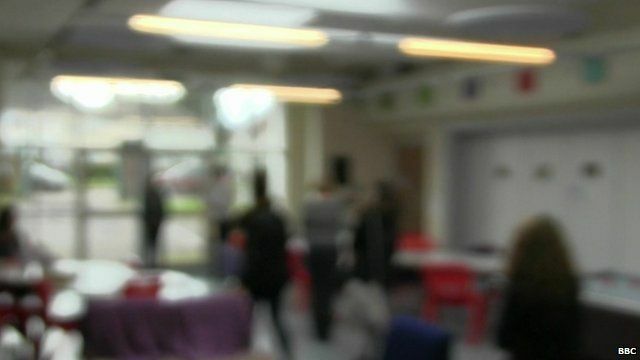 Students at Willow Bank Day School at The Children's Hospital School in Leicester describe what it is like living with mental health issues and how they would like to see a mental health funding increase. This was produced as part of BBC News School Report.